Find clear, concise coverage of the essential concepts, procedures, and technology of critical care nursing! 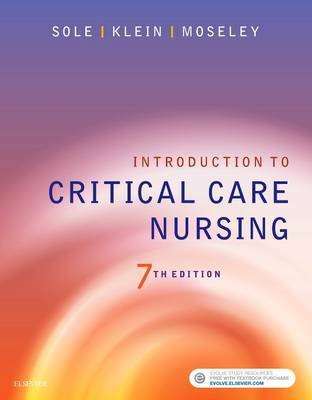 Introduction to Critical Care Nursing, 7th Edition helps nurses provide safe, effective, patient-centered care in a variety of critical care settings. Evidence-based coverage includes realistic case studies and incorporates the latest advances in critical care. Disorders are conveniently organized by body system or special situation, and nursing management chapters include quick-reference nursing care plans. Designed for one-semester courses, this easy-to-understand textbook will help your students develop clinical reasoning skills and succeed in today's highly complex critical care environments.